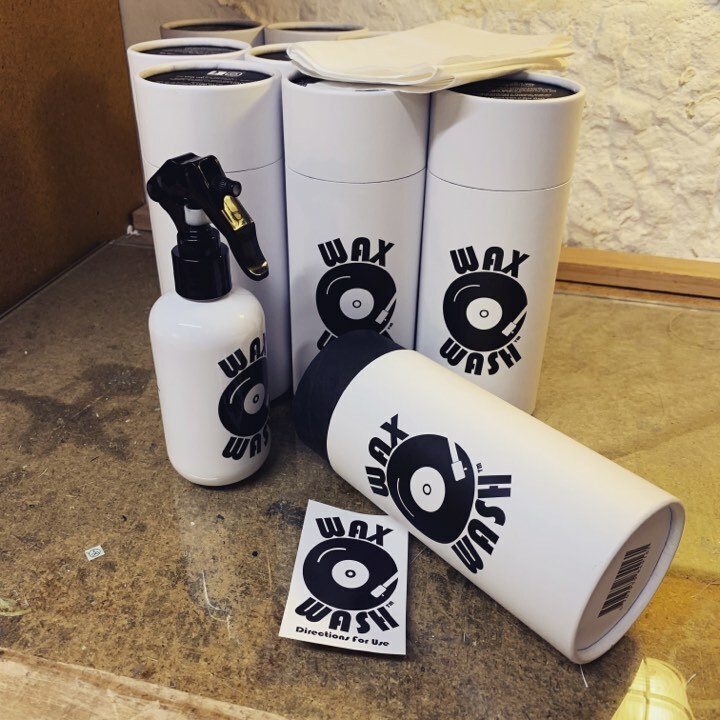 How to choose your spray: Get the record cleaning fluid to maintain clean records; i.e. dust and fingerprints. Get Wax Wash if you are dealing with mould or deep down, in-the-groove dirt. We are stoked to be able to stock this Aussie product. The combination of 100% natural ingredients gets right down into the grooves for a true deep clean. Wax Wash vinyl cleaning fluid does not just target dust and mould, but also residual chemicals from the manufacturing process. We have tested this out and it’s the closest you’ll get to the results achieved by a professional cleaning machine out of a bottle. $30 and in stock. It's important to keep your records and your needle clean, this prolongs the life of both. We don't sell carbon fibre brushes because they just move the dust around. We do sell the AM velvet brush, which has the same issue as the CF brush but does actually go a little deeper into the grooves. You will need the spray and cloth to really get the dust off. The AM fluid spray comes with a little cloth but it's not big enough. We sell additional microfibre cloths ($3 each). We also offer a vinyl deep clean service. We do mail order to anywhere in the country we'd just need to work out the courier fee (can't post fluids) . All stock available in-store or via email order or buzz us on 02 9380 8223 with a credit card handy and we can take payment over the phone, or we can send you a PayPal invoice. ESSENTIAL - AM Stylus Cleaner. $20 (will last you half a lifetime). Nothing beats washing vinyl to get the deep down dirt and mould out of the grooves. Yuo can do this manually in the bat at home, but the vacuum is a mighty help or you'll have records all over the place drying. Introducing the all new, but same as before, Record Doctor Series V. The new model offers the same great performance as the previous model but now at a much lower price! The Record Doctor III was US$299. The new Record Doctor V is only US$199.00. Due to the exchange rate and freight costs the Australian price for the 240V model is $365.